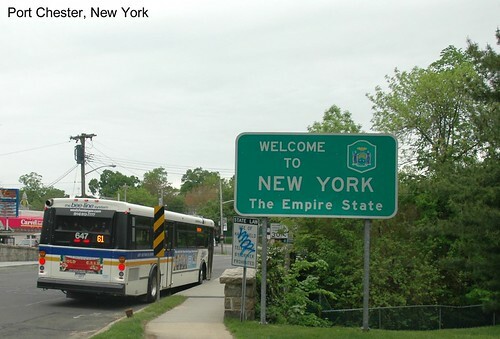 US 1 crosses from Connecticut to New York at Port Chester. I don't remember the large Welcome sign being here when I drove US 1 the first time, but it was here when I returned to photograph the state line. Unfortunately the bus was also here, and after waiting 10 minutes for it to move, I gave up and included it in the shot. 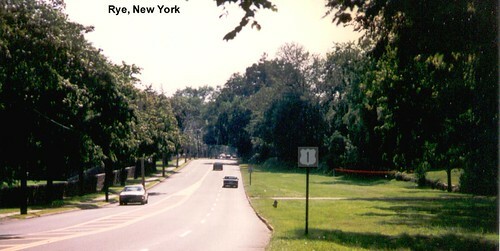 US 1 meanders through Rye.